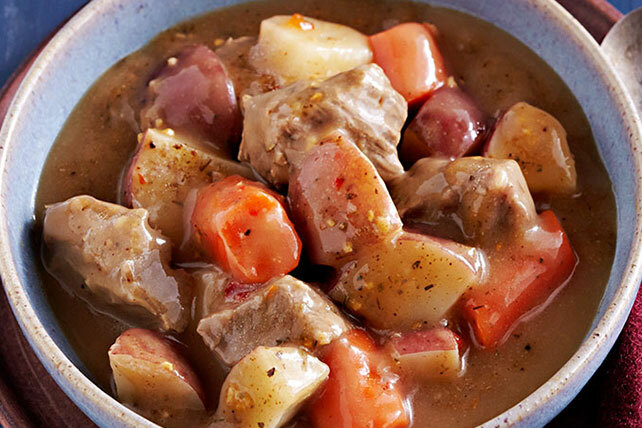 There's lots to like about a slow-cooker beef menu, aside from the beef. Like the fact that you'll have time for sumptuous vegetable side dishes. Tossed with bacon and sprinkled with almonds, this dish will make a Brussels sprouts fan out of anyone. Note: No one will believe it's a Healthy Living side dish, so don't bother mentioning it! Round out the menu with a fabulous bistro-style side salad. 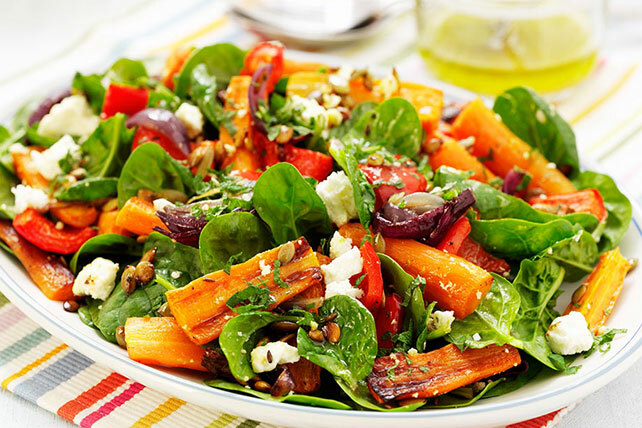 Roasting beets and carrots brings out their naturally sweet flavor—a delicious counterpart to the tangy feta in this beautiful spinach salad.